A recent story in the NY Times said that Florida is due to pass New York in population sometime in 2014 making Florida the third most populous state in the nation after California and Texas. The impact of this population growth is already being felt on Florida’s drivers. Florida already holds the dubious distinction of being the third worst state for traffic deaths behind Texas and California and has long led New York in the number of traffic fatalities per year. In fact, in the total number of traffic fatalities, teen deaths, alcohol related deaths, and pedestrian deaths, Florida more than doubles New York in each category. There are several reasons for this. Not only is Florida’s population growing faster than New York’s, due to Florida’s popularity as a tourist destination, the permanent population of more than 19 million residents is increased by more than 80 million additional tourists per year. All of those visitors, who either drive down or rent a car once they arrive, put a strain on Florida’s roads, especially in the popular tourist destinations of Orlando and South Florida. The tourist population is a blessing and a curse for Florida. For many tourists, having a good time means drinking and, unfortunately, it also means drinking and driving; a big problem for Floridians. A significant portion of Florida’s growth, especially in the southern half of the state, is made up of immigrants from all around the Caribbean basin and Latin America. Many of these immigrants have either never driven previous to their arrival in the state or drove in countries where traffic laws and customs were vastly different from ours. However, foreign immigrants aren’t the only problem; immigrants from other states also bring their bad driving habits with them when they move to Florida. 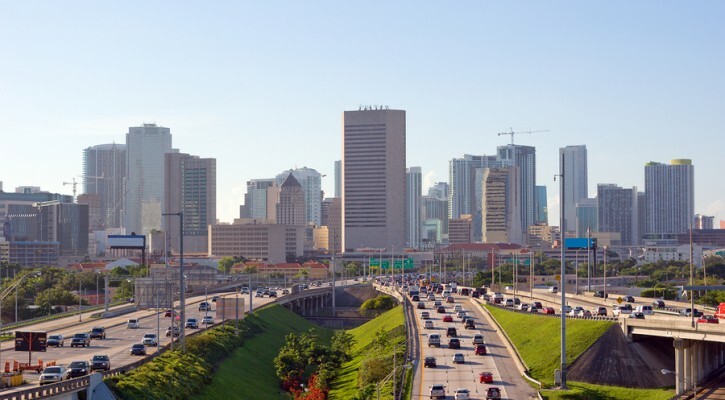 Florida’s roadways aren’t keeping up with the growth rate. Like governments everywhere else, Florida’s legislature is loath to spend money on infrastructure projects. Commuters in cities like Jacksonville that have a lot of rivers, marsh lands, and wide creeks to cross find traffic funneling to one of the very few bridges and dealing with massive traffic tie-ups as a result. Citizens of Florida want and appreciate new roadways and bridges; they just don’t want to pay for them. Along with roadway infrastructure projects, the Florida legislature also seems to be very reluctant to pass motor vehicle safety laws. Years after most other states, Florida finally enacted an anti-texting law in 2013 but it carries a minor penalty and is extremely difficult to enforce. Florida’s Graduated Driving License laws (GDL) designed to give teens more experience before driving on their own and carrying passengers also lag behind other states. As a result, Florida also stands third in teenage traffic deaths in the US. Over the coming months, we will explore these and other Florida related traffic issues in more depth. We will look at what other states have done and offer suggestions to lower Florida’s extremely high traffic fatality rate.